Last year at this time there were a lot of boarded-up homes around here, making it resemble a movie set for a haunted Halloween production. But it wasn’t a movie set…it was real. The skies were dark. 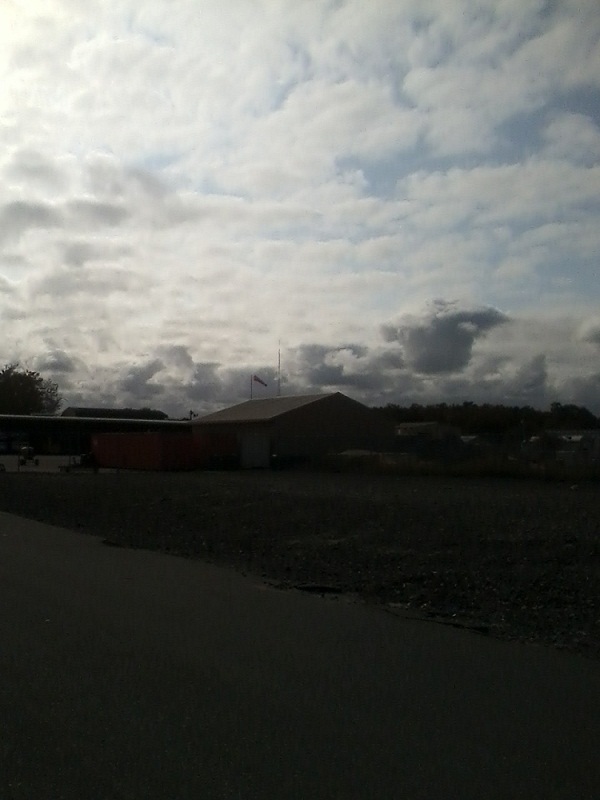 The clouds were brewing. 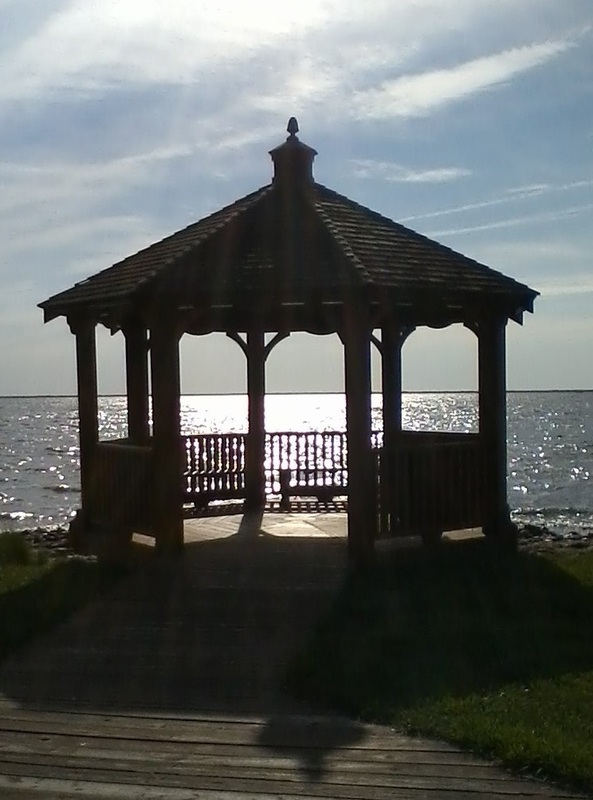 Last year I would often take my dog Bella down to the end of the next block to walk around a mini-park and relax peacefully in a gazebo peering out over the calming waters of the Barnegat Bay. 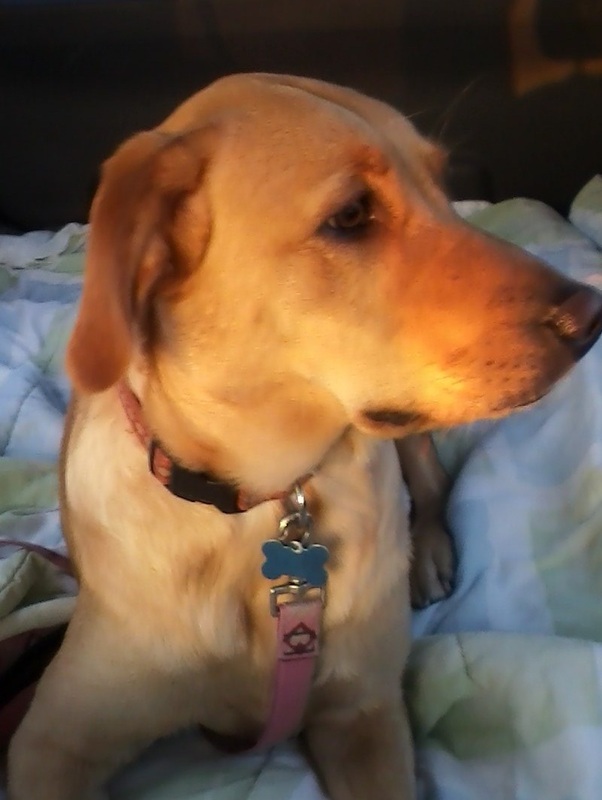 Last year I was nervous and stressed out, wondering where I would go when I evacuated…how I would pack up my pets and what I would do if when I returned, the place I called home was no more. Last year the threat of Sandy hung heavy in the air. This year there are no boarded-up homes. The sun is shining. The weather is still warmish. The park where I took Bella? Destroyed. The gazebo? Gone…washed out to sea. Some people have left that area…others are rebuilding. Today I have a place to call home, and my pets lounge and snooze comfortably around me. So many others…not so much. I stopped by a Jersey shore town last weekend and took a ride down a street that led to the bay. I caught my breath at what the area still looks like. So many abandoned homes. Neighborhoods in ruin. Temporary trailer parks filled to capacity. Homes boarded up. It looked like, again, the movie set for a haunted Halloween production. But it was real. It sent chills down my spine to think that for so many people it’s still not over. And although the sun is shining, it’s still dim and grim. It’s still a battleground. 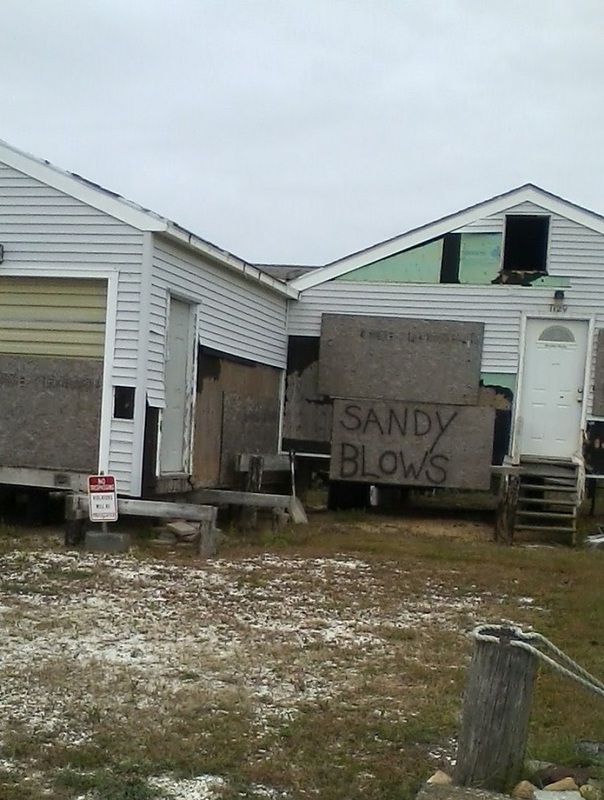 As the anniversary date approaches of the hit of Sandy on the Jersey shore, I can’t help but to reflect on how different life was just a year ago at this time. And how many changes have occurred since then…how many things have been destroyed, how many people are still suffering. It makes you sad and mad all at the same time. I can’t imagine how the people in the flux of it all cope. But it is the bravery of these wounded warriors that I keep forefront in my remembrance of this horrible tragedy. The tenacity in their persistence to rebuild. To stay. To not let this ugly event destroy them, even though so much of what they had was. Their strength. Their dexterity. All the words in the vocabulary that mean tough and brave and admirable. That’s what these Jerseyans are. They call Sandy a super storm, but she doesn’t deserve the adjective “super.” There was nothing “super” about it except the super mess it left in its wake. 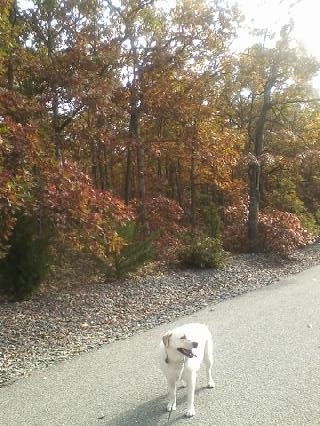 Sandy just blows. What is super? The people of New Jersey…their super hearts, their super souls, their super “up yours” attitude that keeps them tough and strong in the face of adversity. That’s the definition of super. Thumbs up to these super heroes! 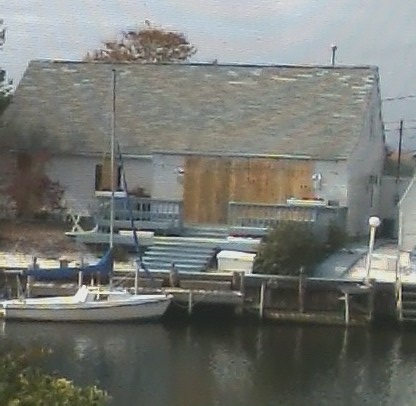 I am a newer resident to this sleepy fishing town on the New Jersey Coast. This is the second time a hurricane is due to hit since I arrived a little over a year ago. The first one side-swiped us, and we were lucky. This time it doesn’t look as if that will be the case. In a word, it’s just downright scary. My stomach has been in knots all day. We are stressed to the max as we tackle the jobs of buttoning down the hatches around the property – taking planters and bird feeders in, storing lawn chair items in the shed, tying other things down. I shopped for bottled water – the shelves at Walmart were already cleared out, along with “D” sized batteries for the flashlights, but I managed to find the last box. The local grocery store had the bottled water, so I bought five gallons and two cases along with some food staples. I filled my car up with gas and got some cash from the bank – did all the things the newscasters are telling us to do. Speaking of that – I had to turn the television off because the minute-by-minute details are just making me crazy-nervous. I’ll check later on in the day and first thing in the morning. A constant thread of news on this hurricane could literally drive you to drink! I’m so afraid of flooding that I’ve decided to get out of here, although some of the neighbors have chosen to stay. At least I have a safe place to go over Katie and Blake’s where I’ll be comfortable. I try to go over a list in my head of the things I have to take with me when I evacuate – most importantly, my pets and their food and paraphernalia. What an ordeal! The cats will have to be crated, which sends them into a tailspin. I can tell they are already anxious. Or maybe it’s just me. Another neighbor has boarded up his house and left town. The neighbors next door have left. It’s looking a lot like a ghost town. It’s dark and dreary outside now, and the wind has kicked up tremendously since the morning. In a few short hours the plummeting will begin. So, I’m off now to pack. I gaze out at the gloominess as the day draws to a close, and I whisper a prayer. One way or another, I know everything will work out the way God has planned.